This large stunning three-quarter length portrait was painted circa 1930 by Anna Airy. 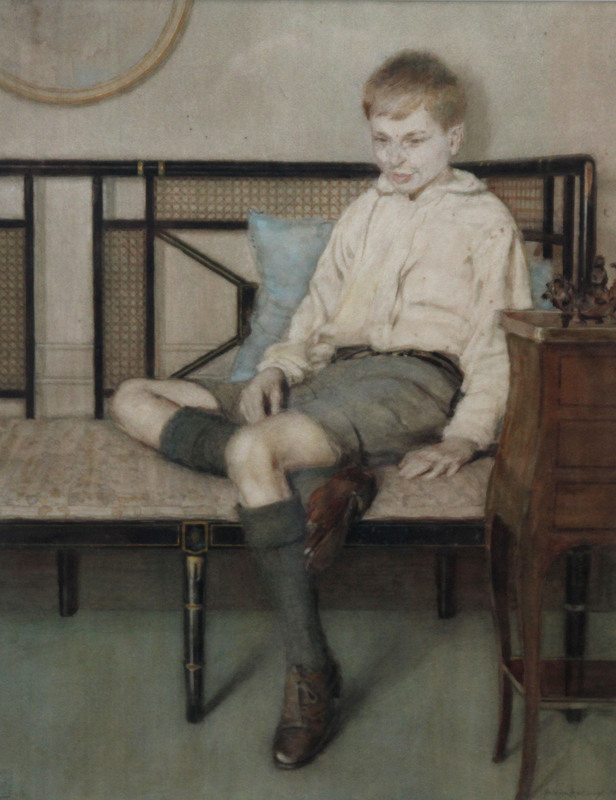 The portrait depicts a boy seated in an Art Deco interior. A strong 20th century portrait. 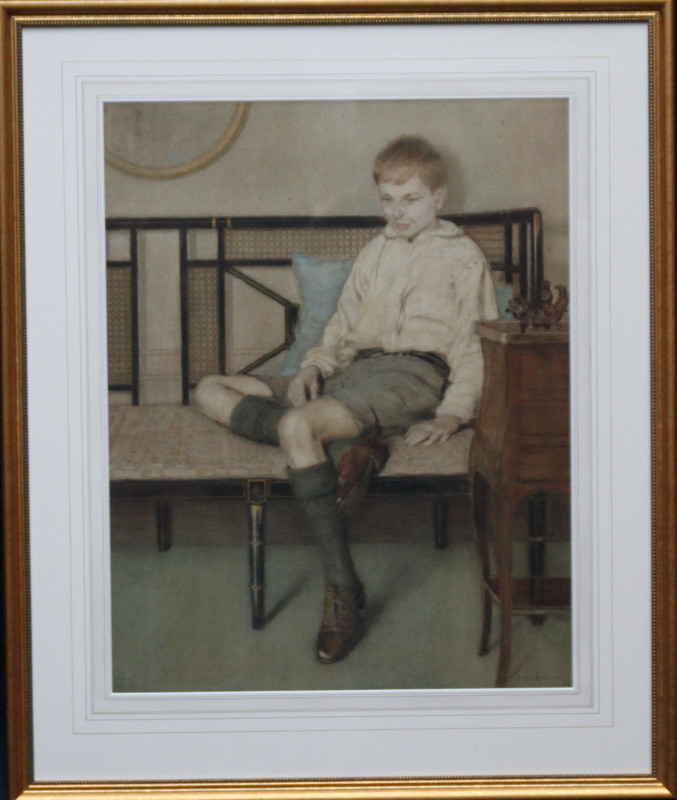 It is in good condition and framed in a fine frame. This is a great painting by a noted British listed female artist and is a fine example of an early 20th century portrait painting. Signed right, Anna Airy Boy. Framed. 28 inches by 23 inches.